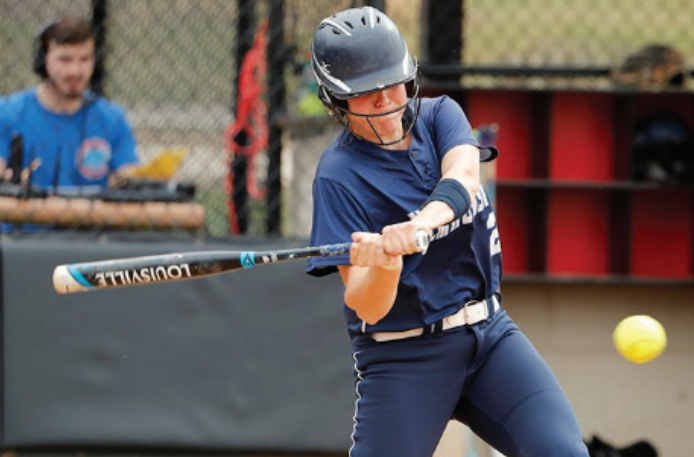 The Elmhurst College softball team suffered two hard conference losses to Carthage College on Saturday, April 6th at their home field. In the first game of the day the Bluejays lost 3-0. The game was scoreless for three innings until Carthage scored one in the fourth by two hits before the Bluejays were able to get three outs. Again, in the sixth, Carthage scored twice, starting with a walk to the lead off batter and a double by the third batter of the inning which gave way to a RBI and later scored. In the second game of the day, the Bluejays were losing 1-0 until the top of the fifth inning when senior Rebecca Ondracek hit a double into left field which scored senior Juilanna Bauer who was standing on third and sophomore Veronica Zahn who was standing on second making the score 2-1. However, in the bottom of the fifth Carthage came out hot and Elmhurst was not able to contain them. Carthage scored six, making the score 2-10 Carthage. Elmhurst was unable to answer in the top of the seventh leaving them with a 2-10 loss to Carthage. The Elmhurst softball team is back in conference play action Sunday, April 7th, at Millikin University.